Food waste is increasingly becoming a problem for UK households, with an estimated £60 worth of food and drink going in the average family's bin every month. Whether you're unconsciously throwing out food or just picked up some bad habits recently, that amount of money could be saved and go towards something else instead. And not only do expenses eat into your monthly budget, the effect food waste has on the environment can be particularly damaging. Luckily, there are a plethora of kitchen gadgets that make food last longer and reduce excess waste, with the added benefit of protecting the environment from harmful habits. Thinking of going green in the kitchen? We've collected some of the best kitchen gadgets you can use to reduce food waste and save money in the process. 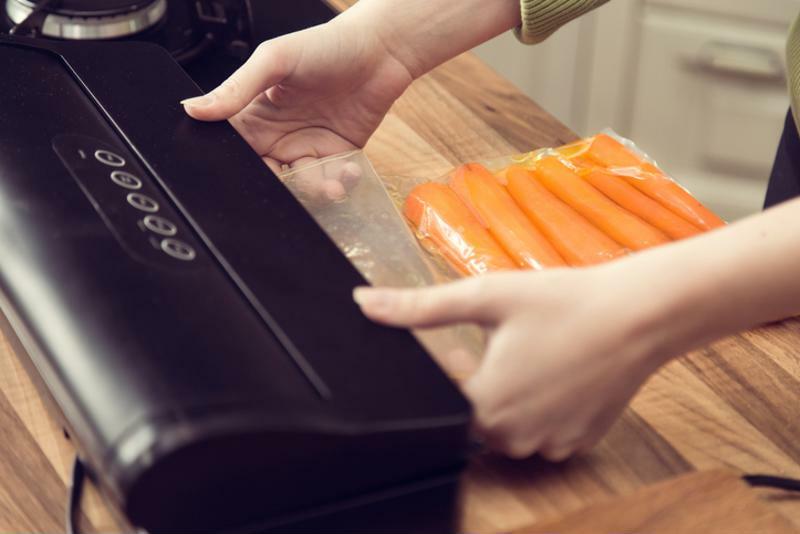 A near-essential for any modern-day kitchen, a vacuum sealer can be used to keep pretty much anything, from cuts of meat to fresh herbs, as good as the day you bought them for weeks or even months. If you've got leftovers or like to cook in batches, then vacuum sealing the surplus of food you've made makes midweek meals a breeze for when you need something quick and easy after work, too. Vacuum-packing helps the freezing process too, avoiding the problem of freezer burn which can seriously affect the quality and integrity of your food when it's time to thaw things out. A vacuum sealer is a kitchen necessity. We've all been there: you get home from your weekly or monthly shop and find you've bought duplicates. Now your fridge is stocked with an excess of cheese (not necessarily a bad thing, to be honest), too many bottles of milk and pot after pot of red pepper hummus. The surplus of stock won't last forever, which'll likely result in things needing to be thrown out later down the line. Smart fridges are like regular refrigerators, except they've swotted up on food wastage and are able to tell you what's in your fridge while you're out shopping. Additionally, they can tell you when food is about to go out of date and notify you of any particular products you're running low on. If you're a budding gardener as much as you are a keen cook, then investing in a kitchen-top composter is well worth doing. With these handy devices, you can turn your leftovers into nourishment for your garden in a matter of hours, an undoubted boon for the environment. It might be worth doing some investigation into which bin is right for you, as some composting bins can have pretty bad smells emanate from them. Find one that locks the smell in but still allows air to flow freely within, preventing bacteria and mould from forming. How many times have you had a recipe call for half the juice of a lemon, or a little bit of diced onion, and then wrapped up the remains in tin foil or cling film, where they sit forgotten for the next few weeks? When it comes time to use the remaining veg or fruit, they've accumulated all sorts of mould on them in the interim. Stretchable silicone huggers create airtight seals around your half-used produce, whatever their size, noticeably increasing their shelf-life, retaining their freshness and flavour for way longer than usual. Say your spinach is looking a little wilted or those bananas are a little bit too bruised to stomach on their own. Conventional wisdom says they'll need throwing out, right? Wrong. 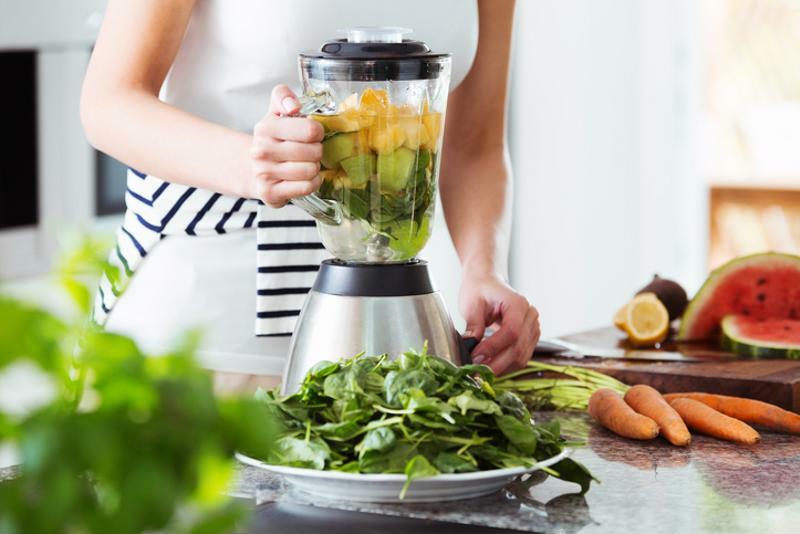 A high-speed blender works a treat on fruit and veg as their use-by date approaches, turning sorry-looking ingredients into healthy, nutrient-packed smoothies and soups in no time at all. Go for one that's designed to cut through ice too. Not only will it keep your smoothies refreshingly cold, you can freeze your fruit overnight, throw it in the blender and you've got a healthy, nutritious breakfast in no time without wasting food that's on the way out. High-speed blenders provide food salvation. A familiar food waste culprit, herbs often act as a 'one and done' ingredient, something you chop up to be used as a garnish before stuffing the rest back in the fridge where it wilts, goes brown and ends up in the bin. They may be relatively cheap, but the price of repeatedly buying fresh herbs can start to stack up. Go for a glass herb keeper if you want to keep your coriander, parsley and basil looking and tasting as fresh as ever. Easily storable in your fridge's door, it stops leaks, counteracts methane emissions and keeps things in top condition for up to two weeks. 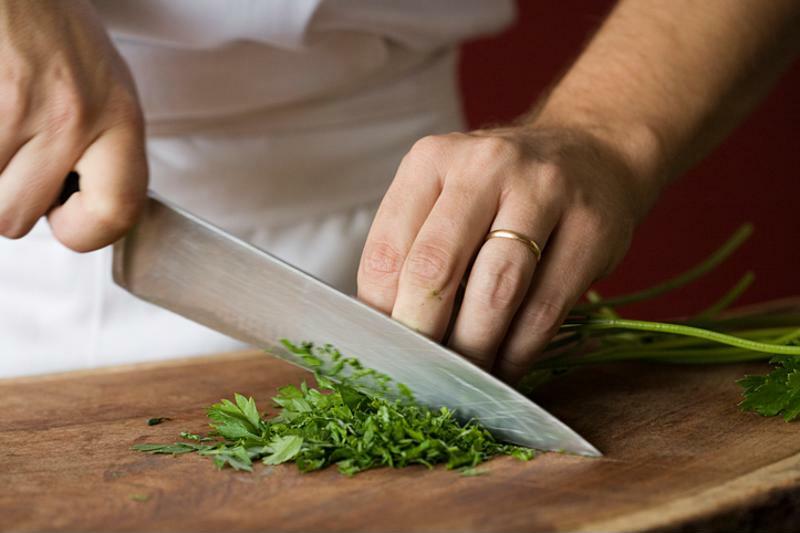 After chopping, consider an herb keeper. If you look inside the average fridge, there's probably all manner of containers, half-used fruit, pots and pans wrapped in cling film. It's handy and keeps your food fresh, but it's really only a one-time product. Bee's Wrap is a natural alternative that can be re-used several times and easily cuts down on your waste. Made out of organic cotton muslin, beeswax, jojoba and tree resin, it's great wrapped around cheese, fruits, bread and bowls of food, creating more of a seal compared to plastic wrap keeping food fresher for longer. We hope you've enjoyed this article. Looking for more green kitchen essentials that don't cost the earth? Visit the FoodSaver homepage for the latest in waste-reducing utensils and gizmos.